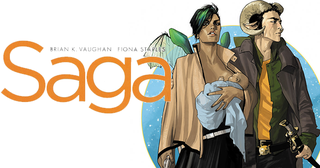 I know of Saga (and I know that not loving all things Brian K. Vaughan is kinda a pretty good test of someone's humanity if you don't have a gom jabbar or an upside-down tortoise handy…). I've heard of Chew. The Walking Dead (for people who pay more than $15.00) was a big part of my contribution to Borders no longer existing when I would go in and read those comics and then not buy anything. And this is only the first week, so who knows what we'll get next week? As usual, pay what you want. Beat the average ($8.98 at press time) to unlock Saga, Chew, and Revival. Beat $15.00 to unlock The Walking Dead Volumes 1 and 20 (Really? An 18-volume gap? Really?). Everything is digital. You get to choose what portion of your payment goes to the Humble Team, the various creators, and the Comic Book Legal Defense Fund. Edit 2: All comics are available as HD .pdfs, EPUB, .cbr, or .cbz format.